This is the same plugin as provided by Alan Crisp with modifications so that it will run under 1.6x and MySQL newer versions. It should make life easier for those with the most recent version of MyBB and MySQL installed. 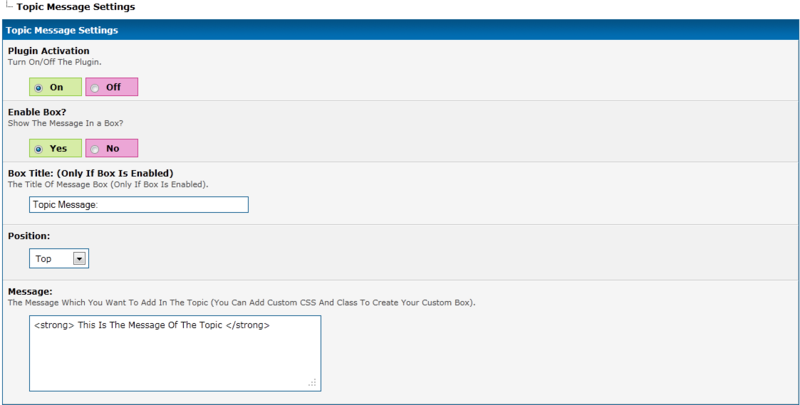 It Shows A Message Which Is Set By You On The Header Or The Footer Of The Showthread Page.